Children first learn their letter sounds and names then apply these to word blending for reading. 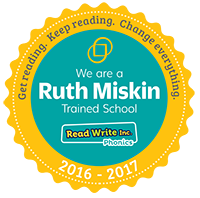 We use Read Write Inc (RWI) to teach phonics. This is a recognised, rigorous synthetic phonics scheme. Children are introduced to the initial letter sounds in Foundation Stage 1. 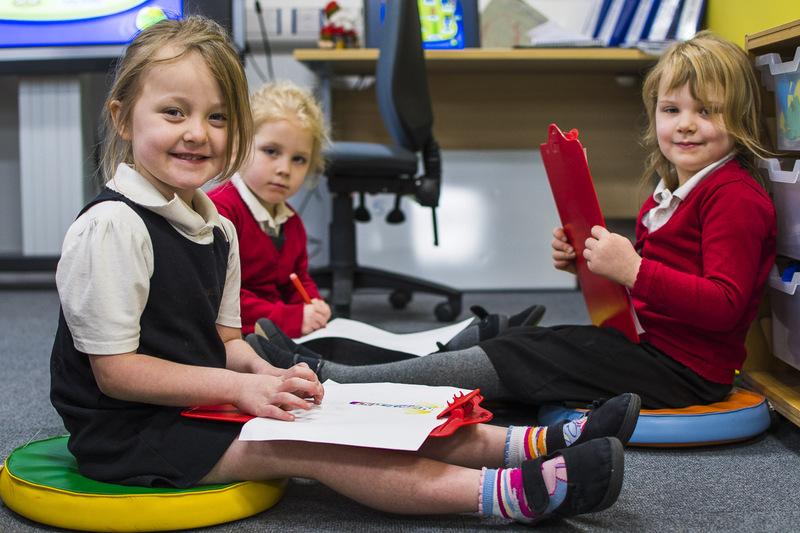 Children are regularly assessed and then grouped to receive the appropriate teaching for their phonic knowledge. As part of RWI children read individually, in small groups and as a whole class. The books studied are strongly linked to their phonic knowledge. The books include a variety of different genres. Once this book has been read the children then take this book and another closely matched book home to read. The reading pack sent home provides parents with other reading activities. More able readers in year 2 join a Language and Literacy group where they will receive further teaching of reading skills. These children will have access to MyBookBlog to choose a reading book from the school library to take home. This book is matched to their ability following an online assessment. MyBookBlog is an online resource designed to enhance children’s reading and encourage reading for pleasure. Children read the book and then complete a range of reading activities. This can be accessed at school or at home. Through independent reading, shared reading in literacy lessons and cross-curricular sessions and reading for pleasure, reading in Key Stage 2 develops and extends the skills acquired in Key Stage 1. If appropriate some children in Key stage 2 may join RWI groups or a Fresh Start group to ensure reading skills are developed to meet their year group expectation. This supports our aim that no child ‘gets left behind’ when developing their reading skills. Throughout the school children receive daily story-time to enjoy a book with their class to foster a love of reading and literature. For a more details explanation of our approach to the teaching of reading please see our school Reading Policy.